[JURIST] Japan’s lower house of parliament passed a bill Friday allowing Emperor Akihito [BBC profile] to step down and calling for a debate on women emperors in the male-dominated monarchy. Emperor Akihito, who has been on the throne for nearly 30 years, would be the first abdication [Reuters report] in almost two centuries. Akihito, 83, who has had heart surgery and treatment for prostate cancer [BBC report], said last year that he feared age would make it challenging for him to fulfill his royal duties. 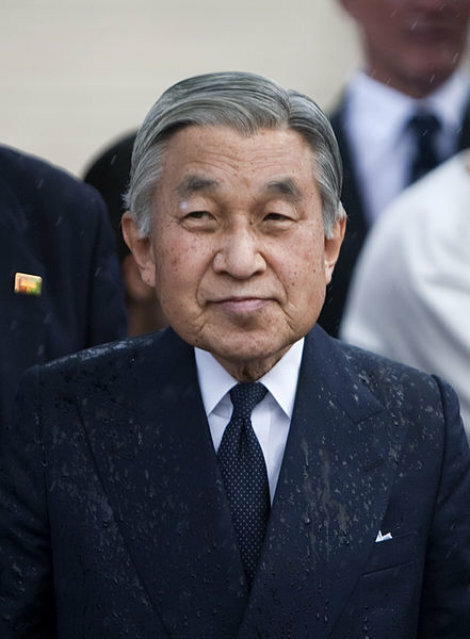 During his reign, Akihito worked to heal the wounds of World War II, both at home and abroad. Akihito will be succeeded by Crown Prince Naruhito [Brittanica profile]. The bill also addressed the shortage of male heirs in the imperial family, calling for a debate on allowing women to remain in the family after marriage—current law mandates that they leave.